Nuclear magnetic resonance (NMR) spectroscopy is a broadly used analytical method with major applications in chemistry, biochemistry and medicine. Key applications include structural analysis of small molecules, metabolites, larger biomolecules such as proteins, RNA and DNA, and applications in material science. Magnetic resonance imaging (MRI), which is based on the same physical principles, is extensively used in medical diagnostics and represents the most widespread application of NMR. However, NMR is fundamentally limited in sensitivity and this has always restricted its applicability. Hyperpolarization techniques such as dynamic nuclear polarization (DNP) have become a major field of research and development because they hold the promise of increasing the sensitivity of NMR by several orders of magnitude. Such sensitivity enhancements could significantly broaden NMR applications, combining its unique structural information with much higher sensitivity. Unfortunately, there is no single implementation of DNP that would be suitable for a broader range of typical NMR applications. Experimental conditions often circumscribe areas of possible applications. 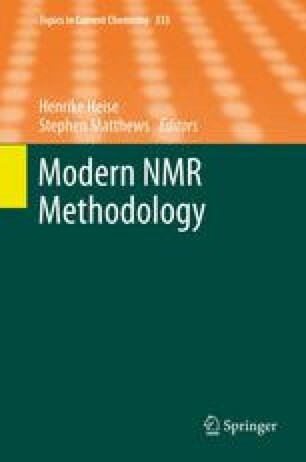 Nevertheless, recent developments point towards experimental protocols providing solutions for specific applications of NMR. This review summarizes the concepts behind DNP in the light of recent developments and potential applications. Dedicated to Heinz Rüterjans on the occasion of his 75th birthday. I would like to thank Marina Bennati and Thomas Prisner for helpful discussions. I would like to thank Christian Ludwig for providing additional data for Fig. 16d. I also thank Christian Ludwig and Rafael Brüschweiler for critical proof reading.